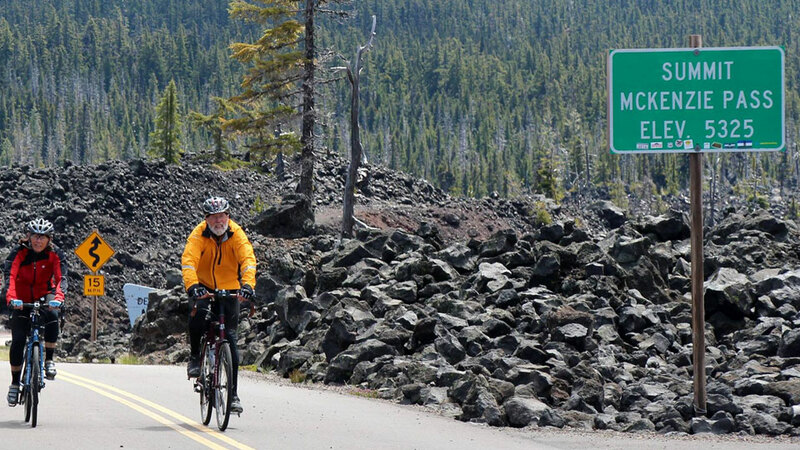 Founded in 2016, Central Oregon Wheelers is a recreational road cycling club with the mission to provide a safe, supportive and friendly environment for recreational cyclists. Central Oregon Wheelers is not a racing club, nor is it an advocacy club. It is a club whose focus is on the ride. A small annual fee gives members the opportunity to improve their skills, meet new riding friends, attend educational events on cycling topics, get news on pending legislation regarding biking, and participate in regularly scheduled club rides on some of the most beautiful, scenic routes in the world. Member rides are moderately paced and are geared for a wide range of cyclists; individuals who are just starting out, accomplished riders, young riders, those who have many years under their belt, cyclists who ride short routes, and those who are preparing for centuries. Most rides start in Bend and are planned and led by one of Central Oregon Wheelers’ numerous Ride Leaders. Please visit the club’s web site for a current listing of upcoming rides and events, as well as membership and guest rider information.